VMware is releasing patches for VCSA 6.7 on regular basis. The proof is that currently already 3rd patch has been released for VCSA 6.7 since its release only few months back. Every administrator should keep the VCSA patched. Today we’ll talk about How to Patch VMware vCenter Server Appliance (VCSA) 6.7 Offline, for vCenters which does not have internet connectivity. To patch VCSA it’s simple. After connection to the VAMI, you go to Update > Check Updates > Check CD-ROM + URL which will check the VMware Online Repository. However, sometimes the VCSA does not have an Internet connectivity or the patches there aren’t available. This what happen to me over the weekend. It seems that the default URL isn’t correct. Well, we had no updates online, but I knew that a new patch has been released. So if in any case, the online way does not work for you, just use the steps bellow. I knew that there was the 6.7c release which full ISO is available as a full download from within MyVMWARE account, but it’s not the full Patch ISO which we’ll need for GUI update. You can still download the update ZIP file from MyVMware, but this file can only be used to update via CLI or after unzipping and placing to a remote web server as a remote repo. We won’t cover this procedure in this post but instead, we’ll focus on the easiest way to patch – via the patch ISO and VAMI supposing that there is no internet connectivity. However, when checking with the VAMI UI, there weren’t any updates available…. We need to download the correct ISO file which is only available at VMware Product Patches page (not within MyVMware). 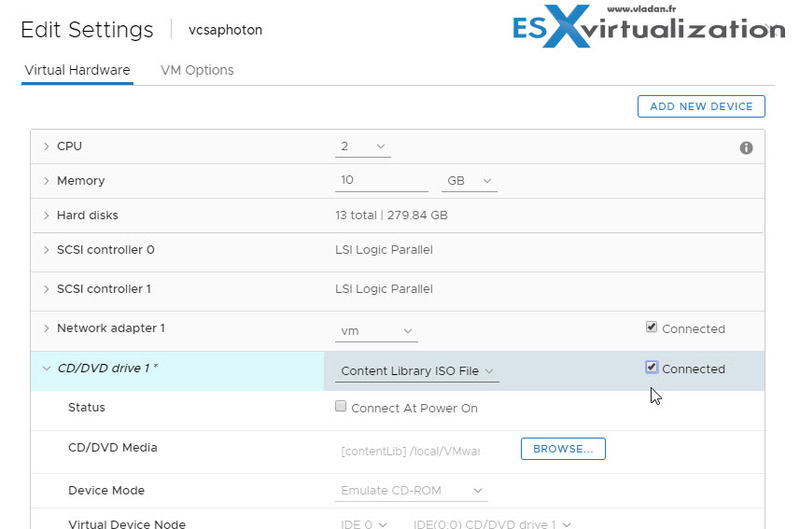 Step 0: Backup your VCSA by your usual backup software and create also a file-level backup from within a VAMI. (Yes, the 6.7 release has a possibility to create a scheduled backup). 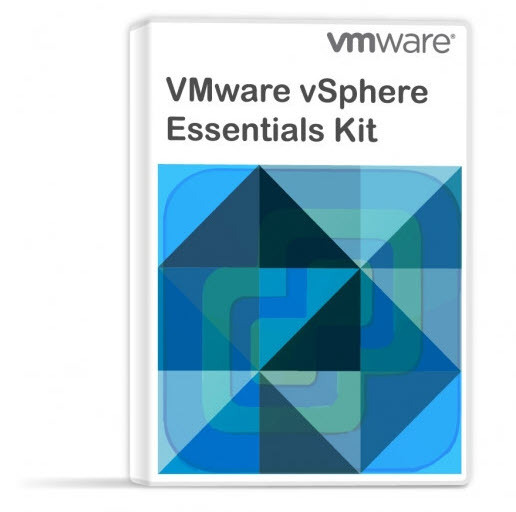 Step 1: Download the ISO patch file from VMware product patches page. Once you’re there select the drop-down menu with VC > Select 6.7 version > Click the checkbox and download the latest file. Here is the view of my patch ISO which I placed to my content library. Step 3: Go to Update > Check updates > Check CD ROM. You should see, after a while, you should see in the lower pane the information about the update. Step 4: Click the Stage and Install link (button) to initiate the update process. Note: If you click the pre-upgrade check only within the darker blue area, after a while you’ll see the pre-upgrade check as Passed. (Well, if everything goes well). Well, now that we know that the pre-upgrade check has passed, we can go and click the Stage and Install button/link to initiate the process. Then we have a screen if you want to join a CEIP. I do leave it checked. Next screen is the staging process during which all the patches are copied inside of the appliance. Note that we still have a possibility to abort this process. But after a brief moment, the screen changes and the installation starts. As being said, the installation is a long process. It showed 60 min in my case, so basically you’ll have to take a long break before you’ll be able to connect back to your vCenter. This new patch is a patch for vCenter Server Appliance 6.7, with bug fixes. Check the details here: http://kb.vmware.com/kb/56510. Normally it should always be available through the online repo, so it’s even easier than what we have detailed. But this process can be used for Offline Patching. Not all VCSA have an internet access and there is always the necessity to patch your vCSA if you want to stay protected and up to date. There is also a possibility to do a CLI update with the patch ISO file we downloaded. Don’t underestimate the necessity to have a valid backup of your vCSA. Remember Murphy’s law. Always backup before patching. In case of something wrong you’ll have to still deploy a clean appliance from the full installation ISO, but you’ll be able to restore your configuration and history from your backup file. The best is to have backup being done by your backup software and also the file-level backup. Offline patching might also be suitable for environments which do have internet access, but this access isn’t reliable and fast. You can use some download manager software from a management workstation or laptop. Software like Internet download manager and others can handle the download process signifficantly faster. Thanks for the article. For whatever reason, our VCSA REFUSES to detect 6.7.0c being available. Meanwhile, I have a specific error (https://kb.vmware.com/s/article/55092) where, you guessed it, is fixed in 6.7.0c. Instead of performing their manual workaround, I was like “I have an hour to spare, I’ll just update to the July release ‘c’. NOPE. Unfound. Glad it helped. Thanks for reading my blog. Great post as others. I am using your blog very often – it is very well structured. Congratulations! Just a small correction here for cli update here. There have to be two dashes in the commands, at least in my environment or I see only one dash in your post.